Nissan’s compact crossover, the Qashqai, which will be released locally as the Dualis soon, has hit the landmark of 100,000 sales in Europe. Sales began in March 2007 and the 100,000th customer sale was completed during the last week of November. The UK, Russia and Italy are the Qashqai’s three largest markets, with sales at the end of November of 17,554, 15,376 and 10,746 units respectively since launch. And demand for Qashqai in countries such as Austria, Holland, Portugal, Greece, Slovakia and Norway has dramatically exceeded expectations. 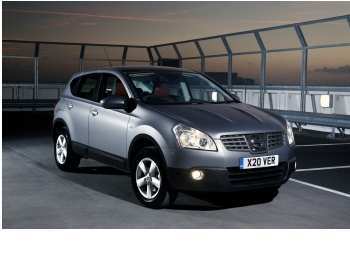 Indeed, Qashqai has exceeded all sales forecasts since its launch in March. To meet demand for the car in Europe, production was increased by 20% in June at the factory in Sunderland, England, where it is manufactured. And, from January, the manufacture of the Japanese version of Qashqai will be transferred from Sunderland to Nissan’s factory in Kyushu, Japan, liberating extra production capacity for Europe. Sales of Dualis in Japan, as it is badged in that market, have also exceeded expectation, with total sales of over 18,000 since its introduction in May. Initial European customer feedback shows that buyers like the Qashqai for bringing something new to the market; for its strong, distinctive design which sits between a traditional hatchback style and a more robust, elevated SUV shape. Qashqai buyers have consistently cited the premium quality interior and overall design as key factors in changing brands to Nissan. As anticipated, buyers of Qashqai (Dualis) typically used to drive a compact hatchback, an entry-level family hatchback or an economy SUV. The Qashqai was designed and developed in Europe following extensive research of local market buying patterns and a deep consumer analysis of unmet needs among car-buyers. Nissan Europe’s product planners identified an opportunity in the market to design and develop a vehicle which provided more dynamic design, without the perceived aggression of a compact SUV, yet maintained the elevated driving position which is popular, but not at the expense of driving enjoyment. The Qashqai is that model. The Qashqai was designed at Nissan Design Europe, situated in Paddington, London, while technical development was undertaken at its technical centres in Cranfield, England, Barcelona, Spain and near Bonn, Germany. In May, the car was awarded the maximum five-star rating for adult occupant protection from the European New Car Assessment Programme (Euro NCAP), with the highest ever recorded score for any vehicle.